The Socio-Economic Rights and Accountability Project (SERAP) has criticised President Muhammadu Buhari’s order banning 50 prominent Nigerians suspected of corruption from travelling abroad. SERAP described the order as arbitrary, repressive and illegal. The president had through Garba Shehu, his spokesman, announced the ban which would place the affected individuals on a watch list, pending the determination of their cases. The group said the federal government is playing “right into the hands of high-profile corrupt officials” by imposing a travel ban on anyone without following due process of law. According to SERAP, the ban is a “breach of constitutional rights and the country’s international obligations, which protect the rights to freedom of movement, to leave one’s country, to privacy, and to due process of law”. “A travel ban by its nature is an interference with the right to leave one’s country. It is neither necessary nor proportionate to prevent dissipation of stolen assets or stop politically exposed persons (PEPs) from tampering with any such assets. 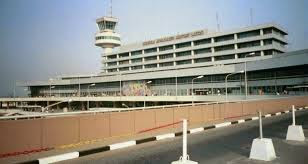 The ban should be immediately lifted and the order rescinded,” Timothy Adewale, SERAP deputy director, said in a statement. “Rather than performing its declared objective of preventing dissipation of stolen assets, the travel ban would seriously undermine the government’s expressed commitment to combat grand corruption and violate the country’s international human rights obligations. The travel ban will play right into the hands of high-profile corrupt officials by feeding into the narrative that the fight against corruption is targeted only at political opponents. “The travel ban will also strain the government’s relationships with partner countries, on whom it will inevitably rely for vital asset recovery cooperation, undermining the effort to bring them closer. By alienating these partners, the government could lose access to important information and mutual legal assistance necessary to effectively recover stolen assets and bring corrupt officials to justice. “Judicial affirmation of the legality of the Executive Order 6 doesn’t grant the government arbitrary powers to impose travel ban on anyone without following due process of law. Rather than imposing a travel ban, the authorities should take advantage of the provisions of the UN Convention against Corruption to seek mutual legal assistance with countries where investigations and litigation are ongoing by requesting them to apply preventive measures regarding assets covered by the travel ban. “The authorities should also widely publish the names of the 50 Nigerians suspected to be involved, and submit those names to the countries/embassies of countries where the stolen assets are stashed. The authorities should issue a risk alert on alleged corrupt assets that are likely to be dissipated or tampered with by the high-profile Nigerians, seeking the cooperation of countries keeping the assets, and reminding them of their international obligations to prevent these Nigerians from tampering with stolen assets that are subject of ongoing investigations and litigation. “If the objective the government seeks to achieve is to ensure stolen assets are not dissipated or that politically exposed persons do not interfere with ongoing investigation and prosecution of corruption cases, the appropriate legal response is for the authorities to pursue orders of temporary forfeiture and mutual legal assistance, and not a travel ban that would achieve nothing but violate citizens’ human rights.